For this card, I used Sending You with 2 die sets that also came out this month, Dotted and Balloons! These 2 die sets are so versatile. The Dotted set includes the large rectangle panel I used as well as lots of smaller banner flags (dotted and undotted). The Balloons die set coordinates with the Balloons stamp set , but they work just as well alone as I did. 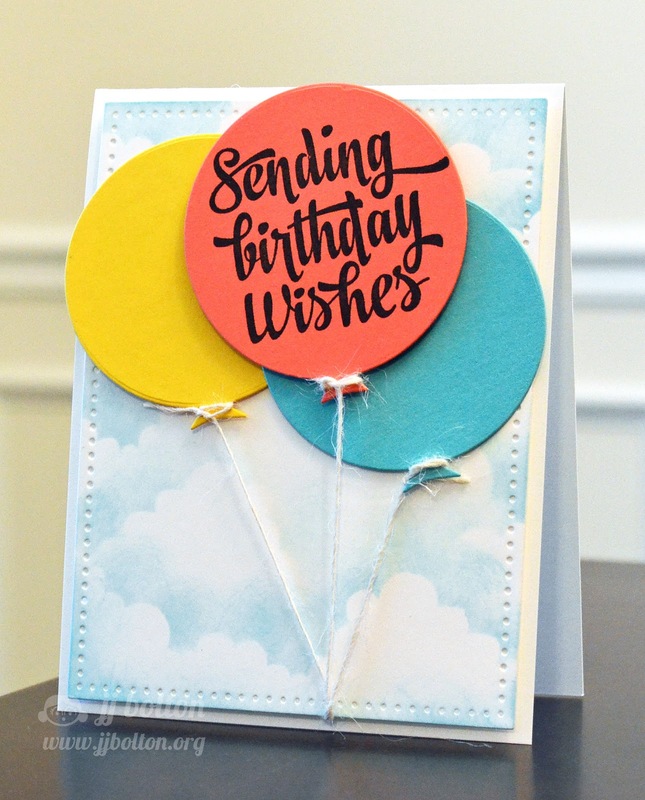 The large balloon die is the perfect place for a sentiment! Love the script used on the sentiments. Can't get enough of your cloud backgrounds. They are always so gorgeous and fluffy!! Great work on your cards! That large rectangular panel looks like it would be a great addition to my crafting supplies. The sentiment font is gorgeous! A must have! Two amazingl cards..... love the beautiful colors, and the new AE dies are amazing! Gorgeous cards!!!! I love those balloon dies! SO versatile! Love the bold font of these sentiments! Greta cards! Love these cards. Your balloons make me so happy! WOW -- this is some release -- and you have made 2 fantastic cards! Love how you used the balloon die without the stamp! Such a bright fun statement! Love both cards! I especially love the way you used the balloon dies with twine, too cute! Love your cards. OK, you have me sold on this "Sending You" set. I'm loving that script font and the big giant balloons!! Super cute cards! your cards are beautiful! I love the classic lettering for Sending You. Great cards! Like the gold thread detail with the hearts. Balloons is going to be my next AE purchase for sure. As usual you've created some really nice cards. Sweet love card and I like the big balloons. Great cards! Love that stamp set. I like how you combined the stamp sets. Very pretty. Plain and to the point. Love them. Fabulous cards, JJ! Love the backgrounds on both of them! Aloha! What wonderful cards you made! I love both cards, especially those gorgeous sentiments! I love the large fonts on the script set and those balloons are great! As always, love your cards. I am really loving that balloon set!! very neat. Love your cards and I'm in love with that font! 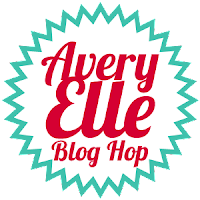 I just love this balloon die & the dotted edge die. The font of this Sending You sentiments is so beautiful - love it! Such an awesome release...lovin' both of your cards JJ! The heart-filled card really does send lots of LOVE!!! WOW - your birthday card is AWESOME - LOVE the dotted border & balloons, LOVE your pretty cloud background, LOVE the font of the sentiment ... you could say that I LOVE IT ALL!!! I shared with my crafty friends and hope they all come visit!!! 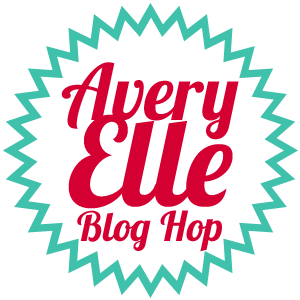 I already follow the Avery Elle blog via e-mail and get an e-mail for every new blog post. Love your card JJ, but I always do! That sentiment is awesome! These are great! I am just loving those giant balloons! I always ADORE your cards...thanks so much for sharing two more great ideas. I love that gold thread in your second card! It's so perfect! Fantastic cards. I love those balloons floated over your great clouds. Beautiful cards!! The sentiment fonts...swooning! Love the font on here! LOVE your cloud background!! Both are fabulous cards! I love both your cards. The first one is super sweet with the heart background. And I love those large balloon dies. Great cards!! Love these hearts. And wonderful fonts too. Thanks for sharing. Your Sending Love card is swoon-worthy! I just love it! Fabulous cards! Love the sentiments... such a great look! And the fun balloons and your pretty sky background! Delightful! wow just love these sentiments...they look wonderful on the balloons. Two super cute cards JJ - FAB sentiments! Really gorgeous cards, JJ! I wish I knew how you get your clouds so fluffy...so beautiful!! !